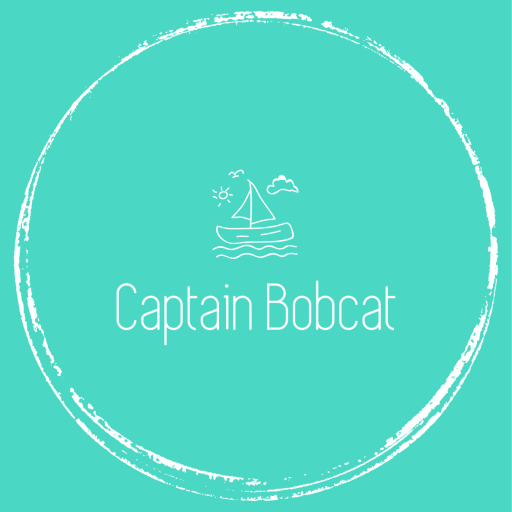 Bobcat absolutely loves books, from early age – oddly this is totally different with our younger, neurotypical daugther – and has memorised lots of books. 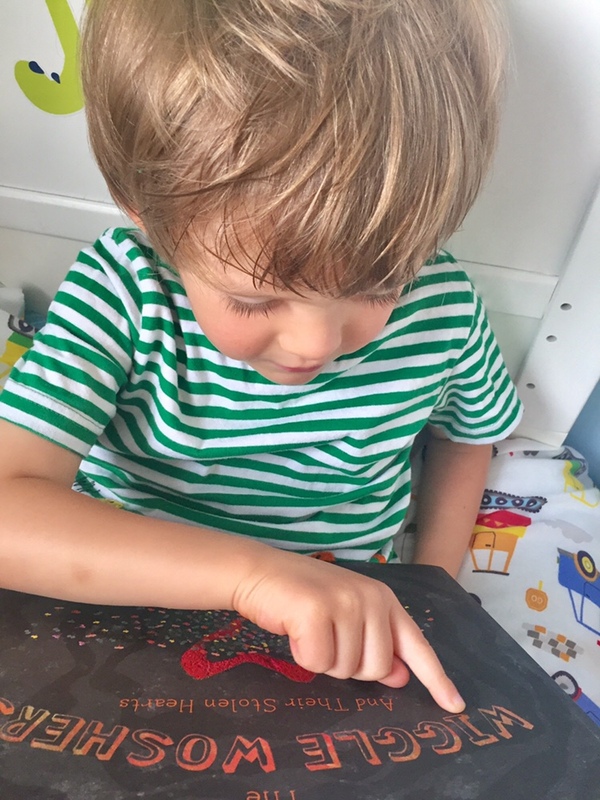 He is a hard nut when it comes to introducing a new book, as many young children with or without spectrum disorder, he currently prefers to read the same books over and over again. That’s how they learn and of course in Bobcat’s case it’s part of his desire for sameness. But of course every now and then we bring in a new book and make a huge fuss about it to make him excited and wanting to read a new book. 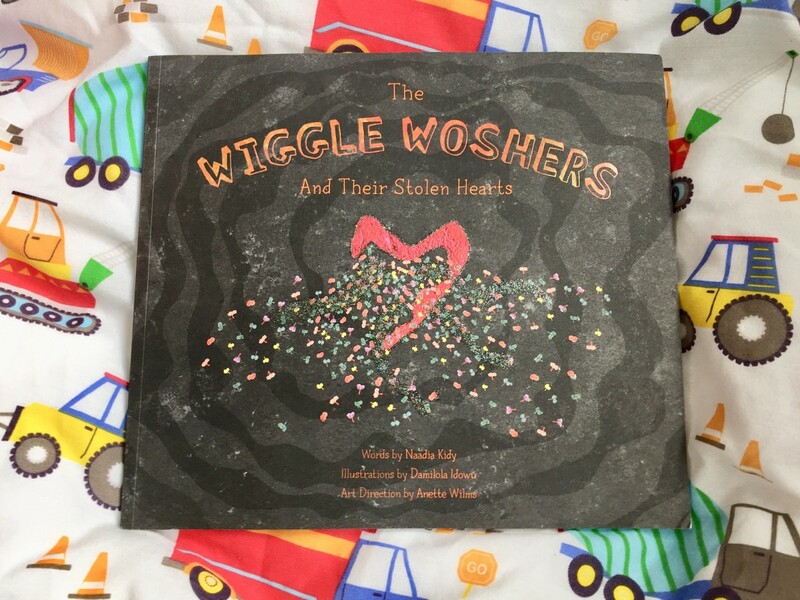 The latest addition to his already extensive library was The Wiggle Woshers And Their Stolen Hearts. It’s just been published and we were kindly gifted with a copy of it. 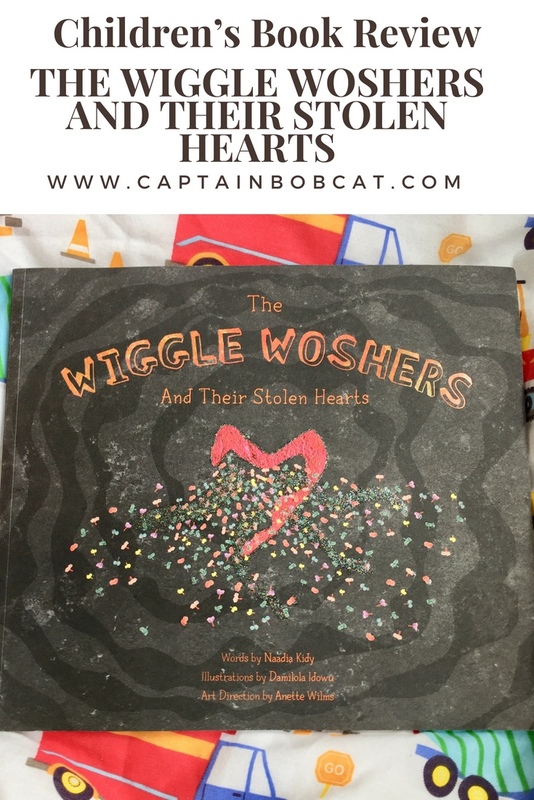 It’s about love, friendship, understanding others and their feelings and motivation through a story of little fictional characters looking for their stolen hearts. The illustrations are by Damilola Idowu, who himself is a young man with autism spectrum disorder. The illustrations are very detailed and they really caught my eye. I love modern art and one of my favourites is Joan Miró. 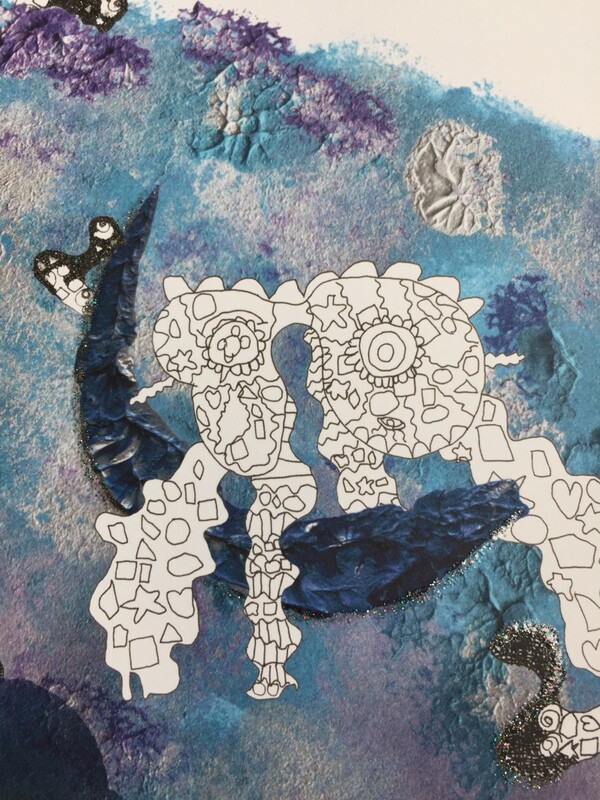 Dami’s surrealistic drawings remind me of his work. The drawings are truly dreamy, beautifully coloured and complex. But the story is balancing it out with its simple message: anything can be fixed by love. So we’ve read it a few times and at first Bobcat was concentrating on the illustrations only. He settled on the characters being little people. 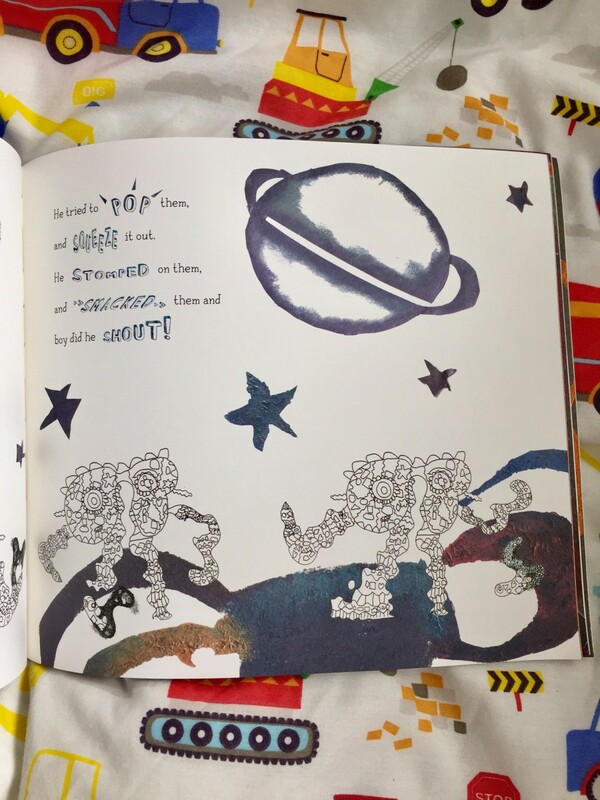 He loved the glittery bits and the colours too, as well as that some of the words are printed larger and in colour. He is probably still too young to understand what is the book about, but mainly because he has generally poor understanding of emotions when they are not displayed on faces. But in a year or two he will understand it, so we will keep re-reading it. I think the best thing about it was that we actually had some conversations abut feelings. That he asked questions about why the characters are said and how he feels when he’s not happy. That is something new as he solely concentrates on facial expressions to decode other’s feelings. 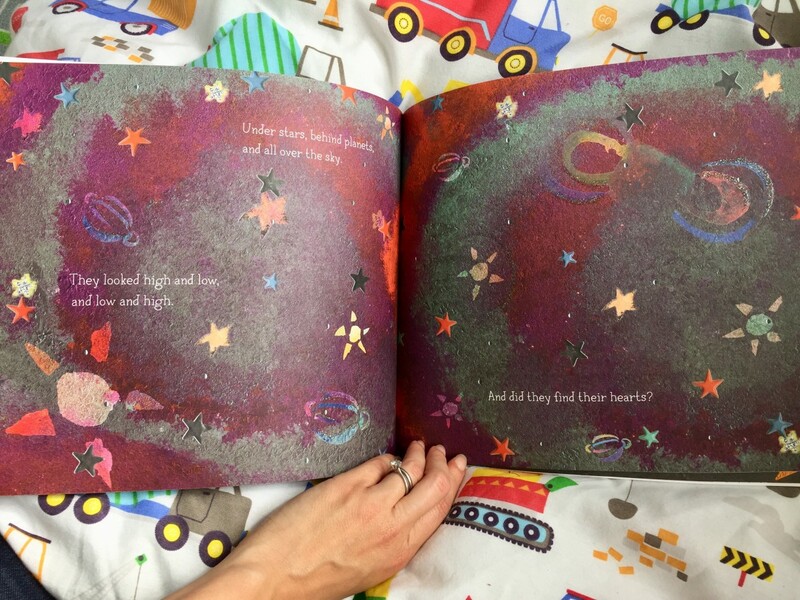 In my view any book discussing feelings and how we perceive other’s feelings is good for the children’s emotional development because they can realise that it’s ok to have a different emotional reaction.